To manage vSphere with the VMware iPad app, the vCMA appliance must be installed. After the vCMA installation, you need to configure the VMware iPad app to manage vSphere. 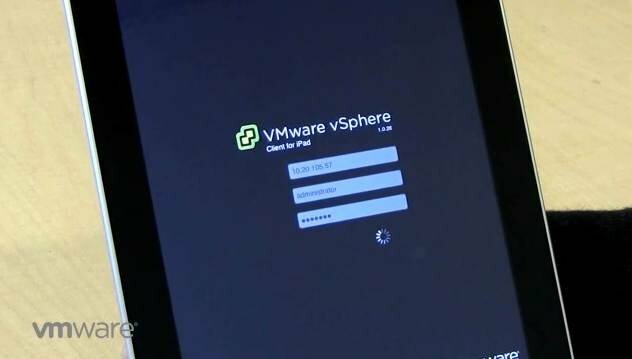 After considering the security implications of managing a VMware infrastructure with an iPad, it's time to install vCenter Mobile Access (vCMA) and connect it to the vSphere Client for iPad. 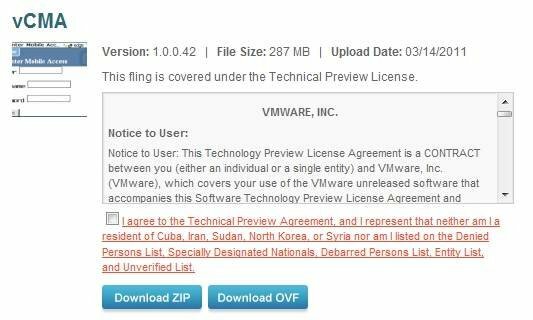 First, download the most recent copy of vCMA from the VMware Labs website. You must use version 1.0.0.42 or later, because vSphere Client iPad app doesn't work with older versions of the vCMA appliance. It's available as either an Open Virtualization Format (OVF) file that can be imported into vCenter Server, or as a ZIP file with the virtual machine (VM) already deployed, which you can copy to a host and register. The OVF file is easier to install, so l will cover that method. Download the OVF version to your workstation. It contains a small .ovf file and a 300 MB system.vmdk file. Unzip the file and connect to your vCenter Server with the vSphere Client. Select File, then Deploy OVF Template, which will launch a wizard. Step through the various screens by mostly accepting the default configurations. Also, choose a location for the VM and the virtual network where it will reside. The network must have access to your vCenter Server. If you want directly connect to your hosts, the network will also need access to your host management consoles. Once the vCMA is deployed, power on the newly created VM and open a console window. The vCMA appliance uses Dynamic Host Configuration (DHCP) by default. If no DHCP servers are available on the network, you must manually configure the IP information. To manually configure the IP information, select Configure Network from inside the console window and enter the IP information when prompted. The following step is optional, and it's only for managing some basic vCMA setup information through a Web browser (not to be confused with mobile browser user interface). The Web management user interface (UI) allows only basic tasks, such as rebooting the appliance or setting network information, which you can also perform with the command-line interface (CLI), so you won't typically use it. After you set the network information for the appliance, change the default password for the root account. 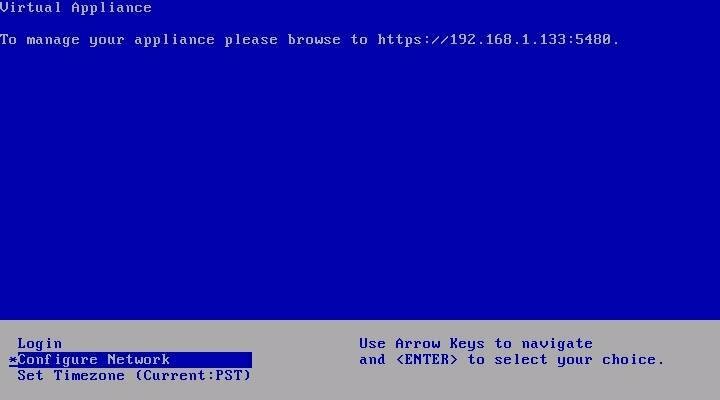 Select Login from the CLI console window and log in using the username root and password vmware. Then type the command passwd and enter a new root password. Finally, type logout to end the session. The vCMA appliance is now deployed. From any browser, you can access the mobile-browser interface by going to the IP address of the vCMA, followed by /vim (e.g., https://192.168.1.133/vim). Also, you must use HTTPS to connect, not HTTP. From the vCMA login screen, you can enter any host or vCenter Server name or IP address, along with its login credentials. Once connected, you can use the basic mobile access administration functions. It's formatted for mobile browsers, and its functionality is similar to the iPad app, with one exception: The mobile UI supports vMotion. 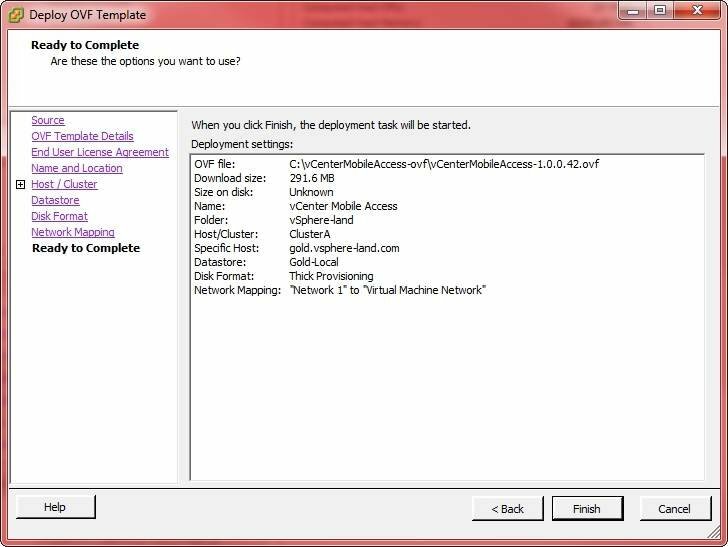 Now you are ready to connect vSphere Client for iPad to vCenter Mobile Access (vCMA). First, download the vSphere Client for iPad from Apple's App Store. Once the VMware iPad app is installed, go the iPad's settings. Scroll down and tap on vSphere Client. Next, enter vCMA's IP address in the Web Server field. Ensure that your iPad has connectivity to the vCMA virtual appliance, which may entail configuring the iPad's built-in VPN client. Launch the vSphere Client for iPad application and enter the host, username and password for a vCenter Server or vSphere host. After you sign in, a certificate error will pop up. This error is just a warning that the SSL certificate is self-signed, and press Allow to continue. This message will appear every time you log in, unless you replace the self-signed certificate that’s included with the vCMA with a trusted SSL certificate (i.e., Verisign). Once connected, you can use the VMware iPad to manage your hosts and virtual machines, as seen below. Although VMware does not officially support the iPad app and vCMA, there is a community forum dedicated to vCMA and vSphere Client for iPad. You can post questions and receive unofficial support from VMware employees and other users. VMware iPad app: A lesson in contradiction? In the meantime, it's good to see VMware is embracing new technologies. This approach provides more options for administering and managing vSphere. 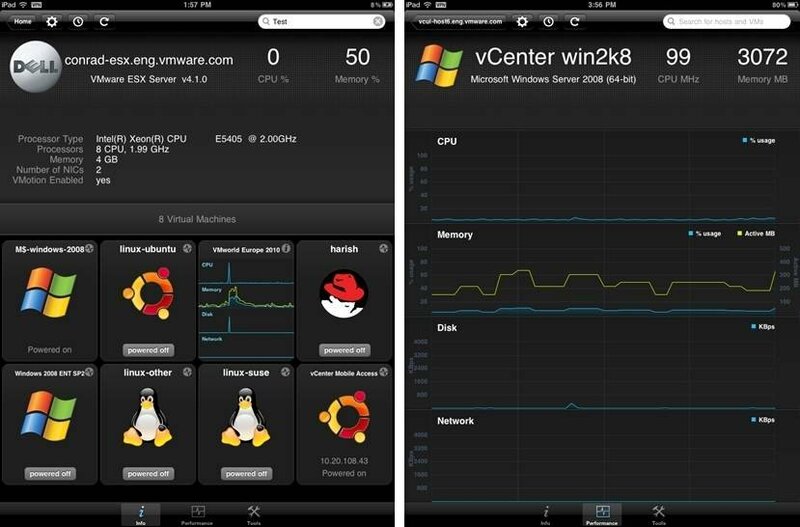 Expect this VMware iPad app to gain more functionality over time. VMware plans on providing full support for the vSphere Client for iPad and eliminating the experimental fling status for vCMA and the VMware iPad by merging the vCMA functionality into vCenter Server, so it can natively support mobile Web access and iPad clients. VMware also is very open to feedback, so let them know your requests in the vSphere Client for iPad forum. The development cycle for vSphere Client for iPad will be much quicker than VMware's standard cycle for vSphere, which typically delivers many fixes and features over a long timeframe. With the iPad app, VMware plans to deliver smaller feature updates on a quicker schedule. Managing vSphere from mobile devices provides more freedom and flexibility than being tethered to desks or carrying around laptops. I fully expect VMware to continue development on mobile platforms and extend mobile management to other vSphere products.